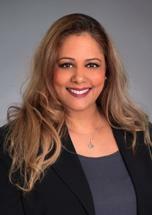 Nadira Imam is an associate attorney at Lawrence H. Jacobson, APC in Beverly Hills, California. She handles a wide variety of general transactional matters for businesses and individuals throughout California. Her practice focuses primarily in the areas of business and corporate law, estate planning and real estate including entity formation, mergers and acquisitions, succession planning, trademark applications, real estate finance, brokerage law and mortgage brokerage law, escrow and title insurance matters, real estate secured transactions, purchase, sale, finance and leasing of commercial, industrial and residential property, tax free exchanges and structured tenancies in common. A native of California, Ms. Imam received her Bachelor’s Degree in criminal studies from the University of California, Irvine. Prior to attending law school, she worked in the private sector in the areas of marketing and real estate. Ms. Imam earned her Juris Doctor from Abraham Lincoln University School of Law. She has been admitted to the California State Bar, and belongs to several professional organizations, including being on the Beverly Hills Bar Association’s Board of Governors, the Immigration Section of the Beverly Hills Bar Association and the Beverly Hills Bar Foundation Scholarship Committee. She is also the Beverly Hills Bar Association Barristers’ Treasurer, and Vice-Chair of the Committee on Empowering Women for the Beverly Hills Bar Association.